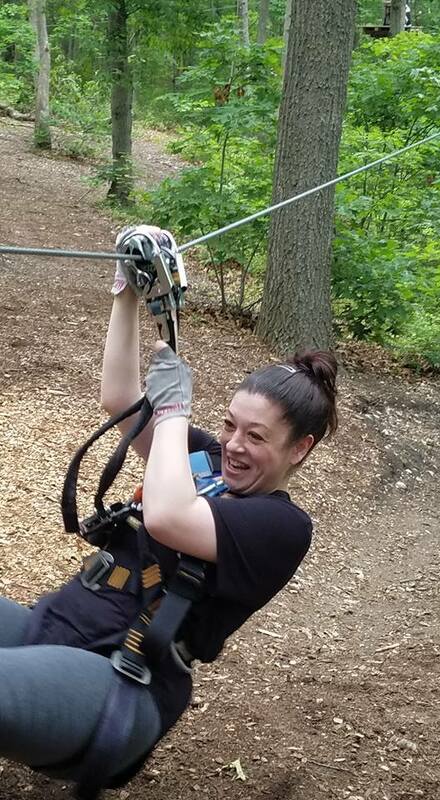 We had the most amazing day in the trees at The Adventure Park at Long Island in Wheatley Heights this weekend. 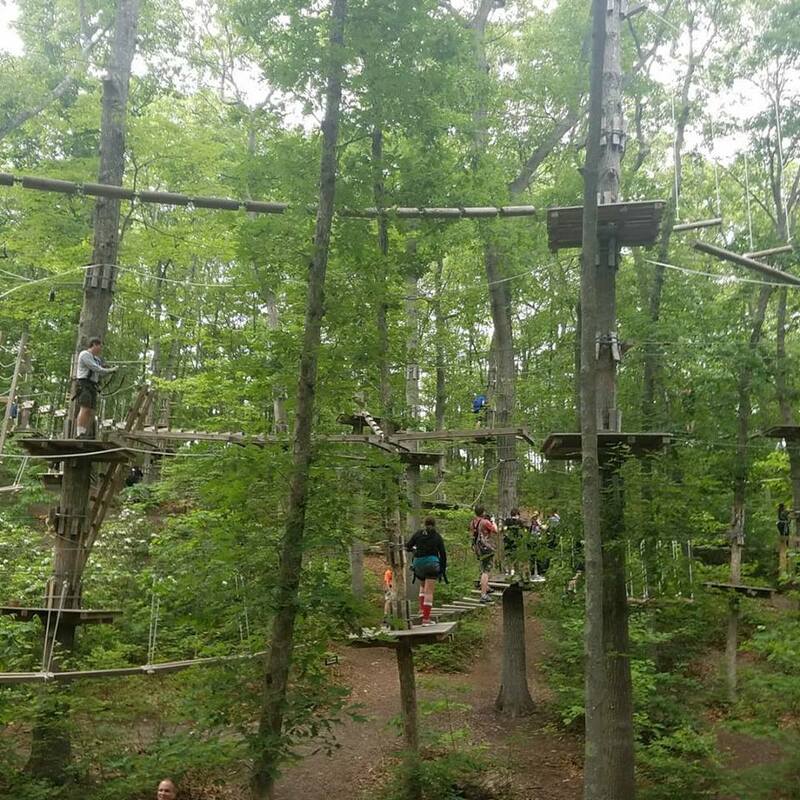 I have to say that in just one visit it has become our new favorite place to go on Long Island and we highly recommend you checking it out. 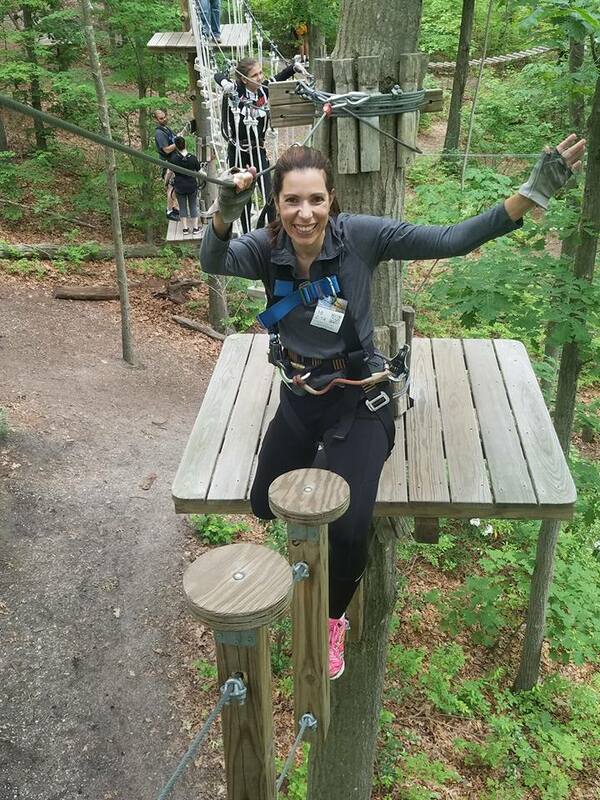 Are you ready to experience adventure? Have lots of fun? 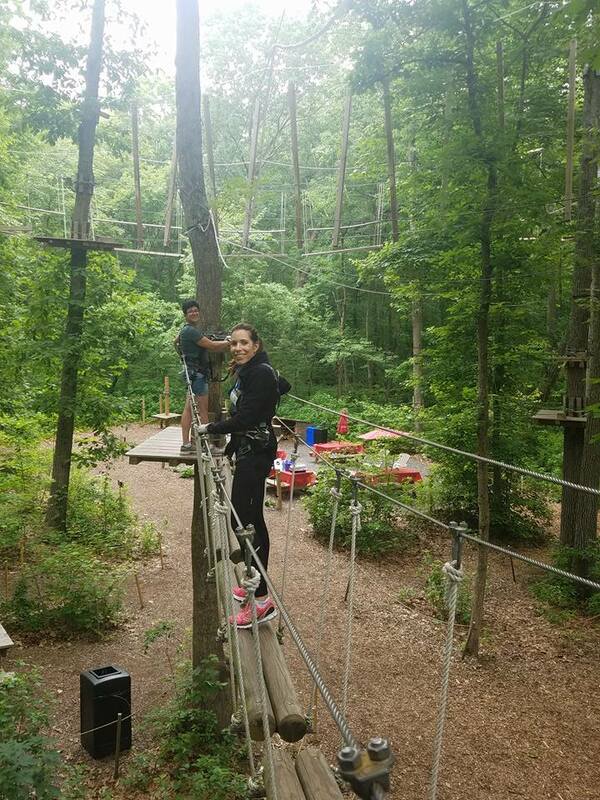 Conquer fears and test your limits? 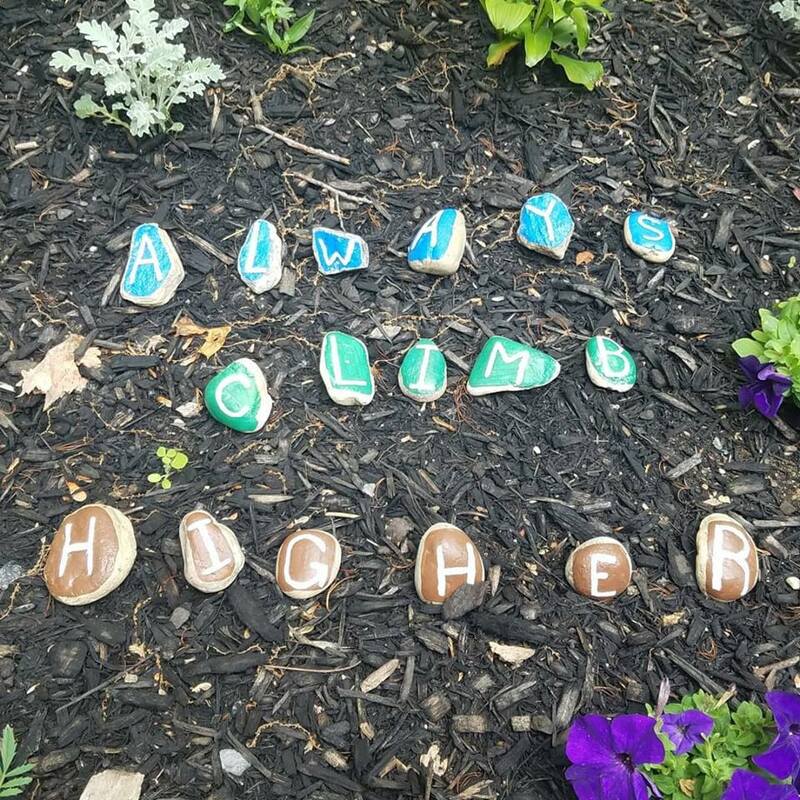 Enjoy being in nature? Doing something exciting with your family and friends? 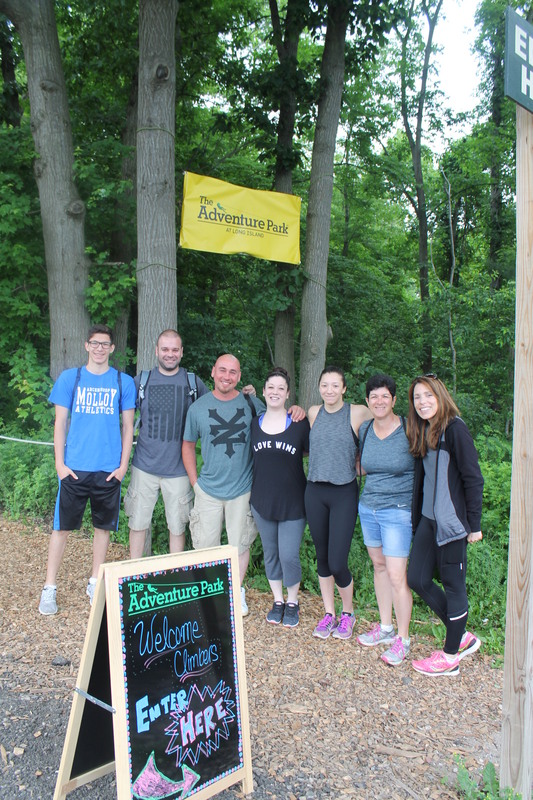 Then, you have to book your climb for the 2018 season at The Adventure Park. You will be so glad you did. You think to yourself there is no way I am going to be able to do this and then you are doing it and it is the most amazing feeling. I definitely had a HUGE confidence boost in my own strength after doing the courses. I know my family members felt the same way after completing the courses. 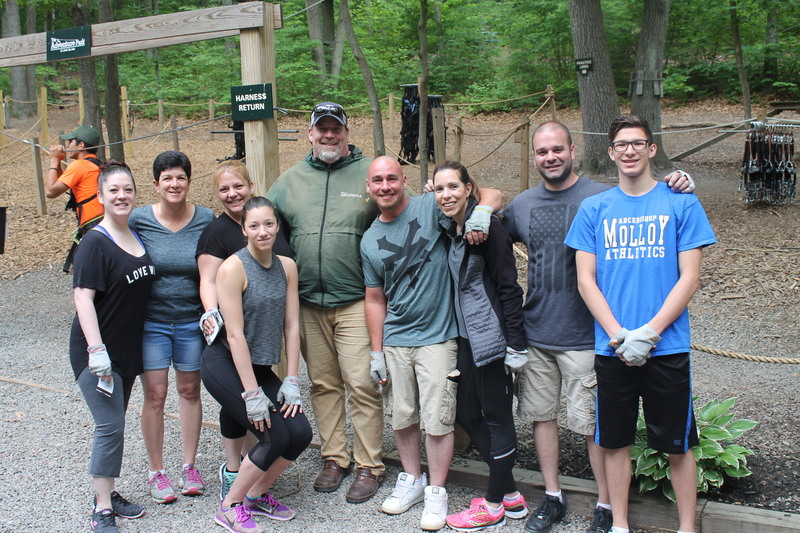 We would like to thank Park Manager, Chris Christie and the entire staff for making our day so memorable! 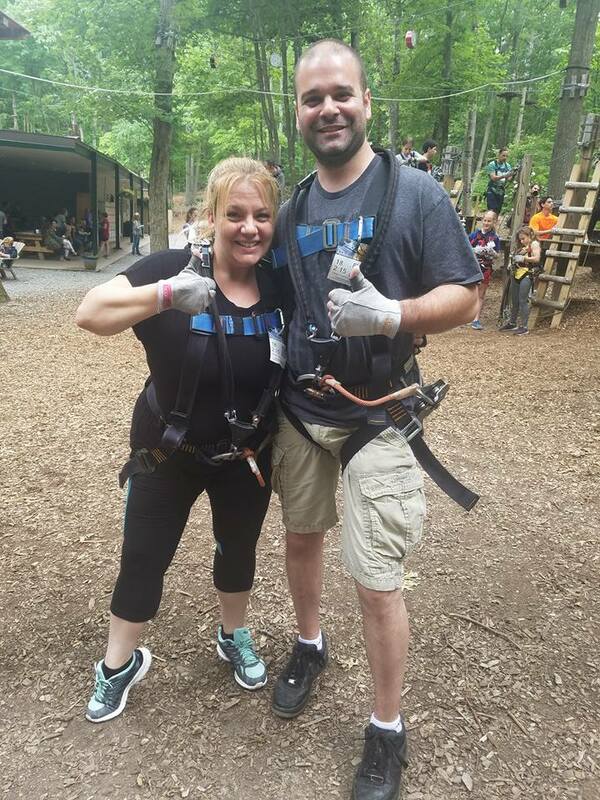 These smiles stayed on our faces the whole time even when we were testing our strengths in the most difficult of obstacles and then earned our zip line throughout the courses. SO MUCH FUN! Did I mention it is completely safe? 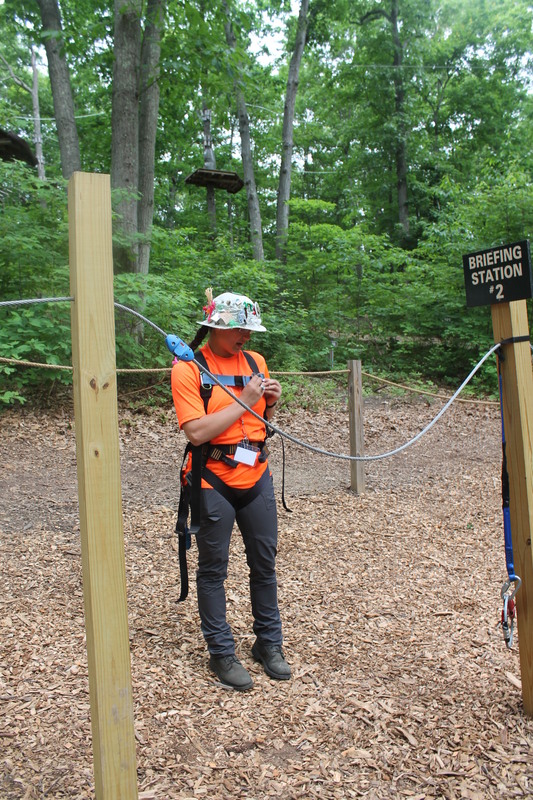 They provide a harness and equipment and give you a safety briefing that demonstrates how to climb and zip line in the park. 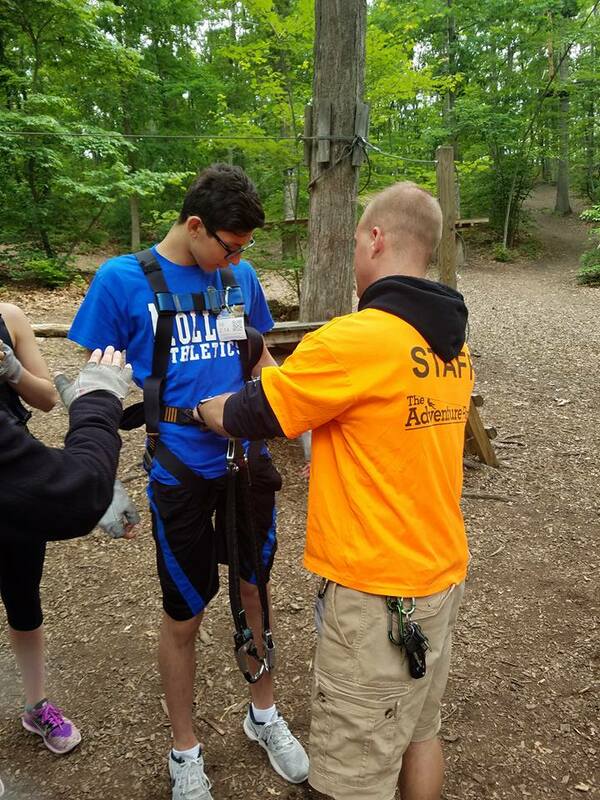 The staff was so incredible and made sure we felt confident in knowing what to do when we were up in the trees and made sure we were in our harnesses properly. 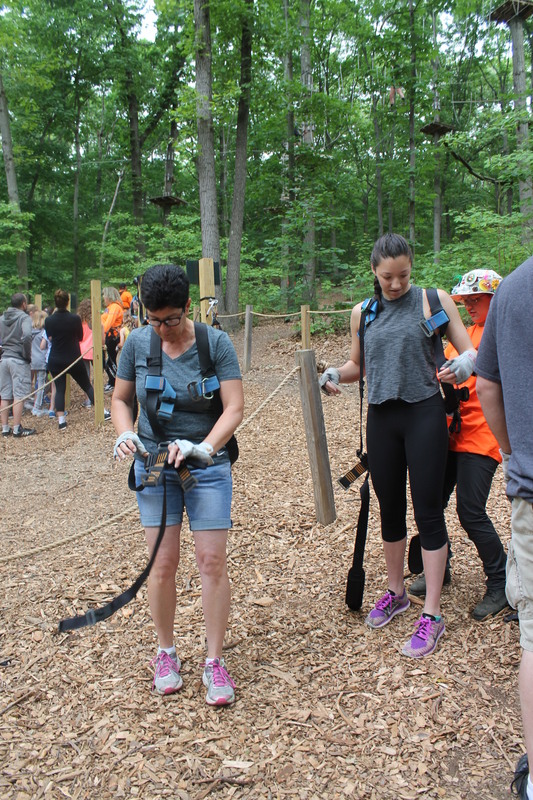 Safety is first and we thank Amanda for helping us learn how to put on our harness with a fun acronym… We Love Safe Climbers! 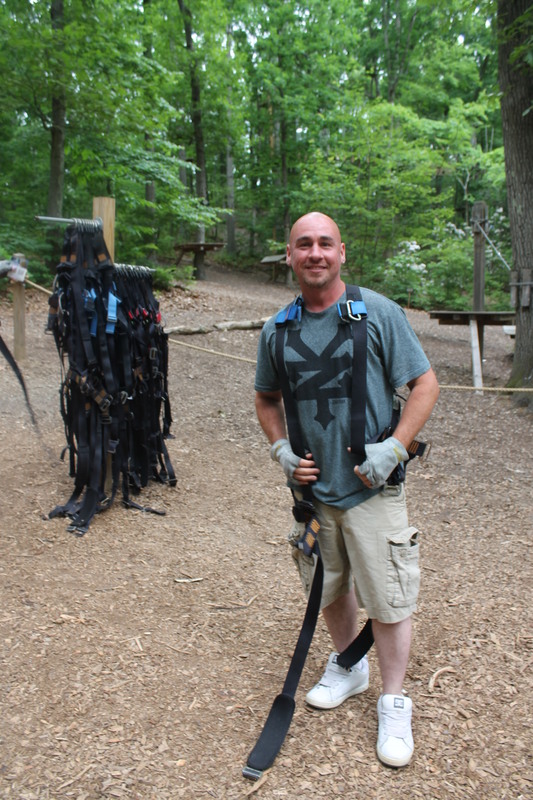 You put your harness on by clipping your W- Waist, L-Legs S-Shoulders and C- Chest. Don’t worry there is always someone to help you out nearby just yell STAFF and you will be guided through with some friendly tips and/ or some words of encouragement. 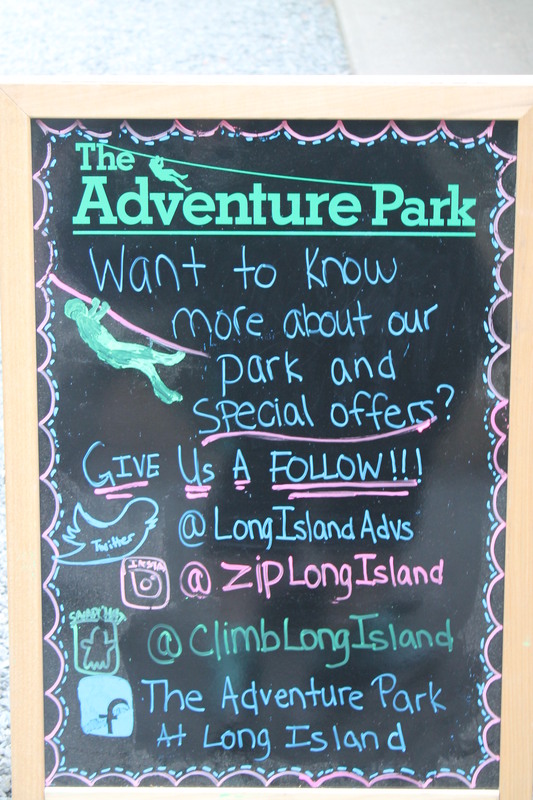 The staff at Adventure Park of Long Island are so friendly and eager to help you have the best experience! 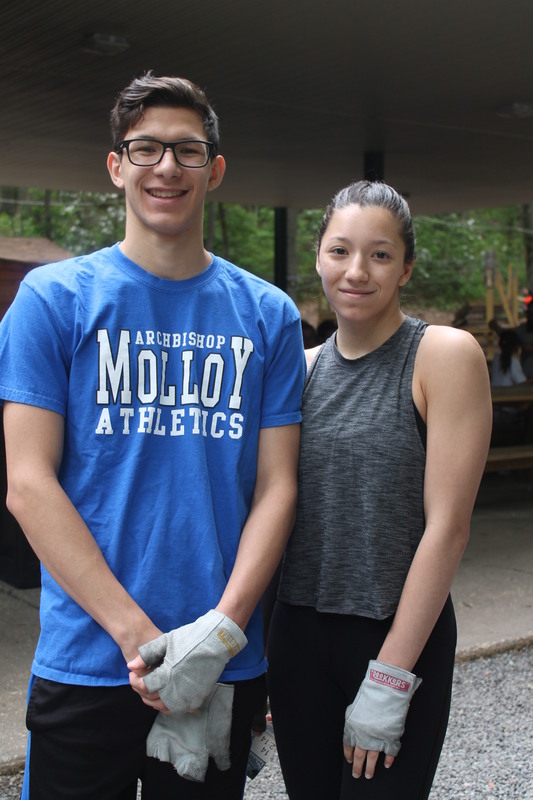 My family and I were so pleased by all the staff and we would love to recognize Amanda, Eddie, Anthony and Gabby for all their help along the way. They were incredible! My aunts and I did one of the yellow courses to start and so glad we did. 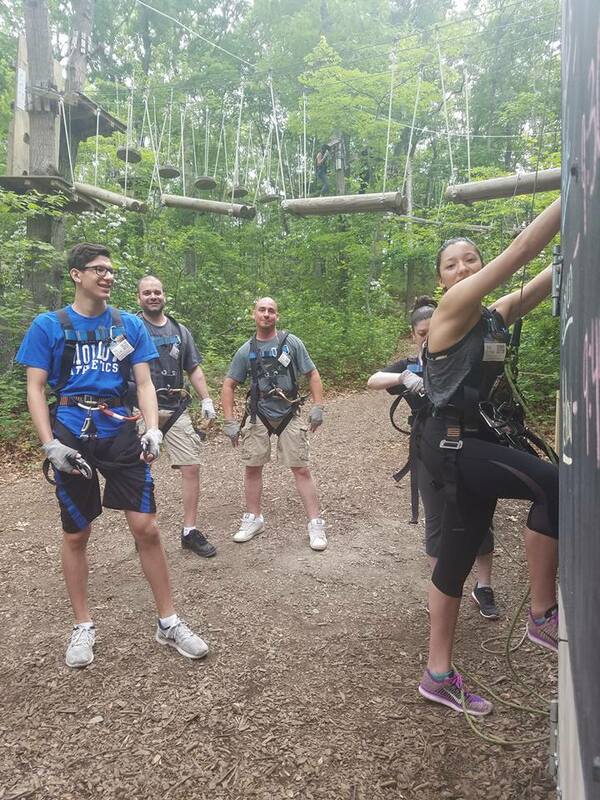 We were unsure of what the courses were going to be like and wanted to start out easy and work our way up. 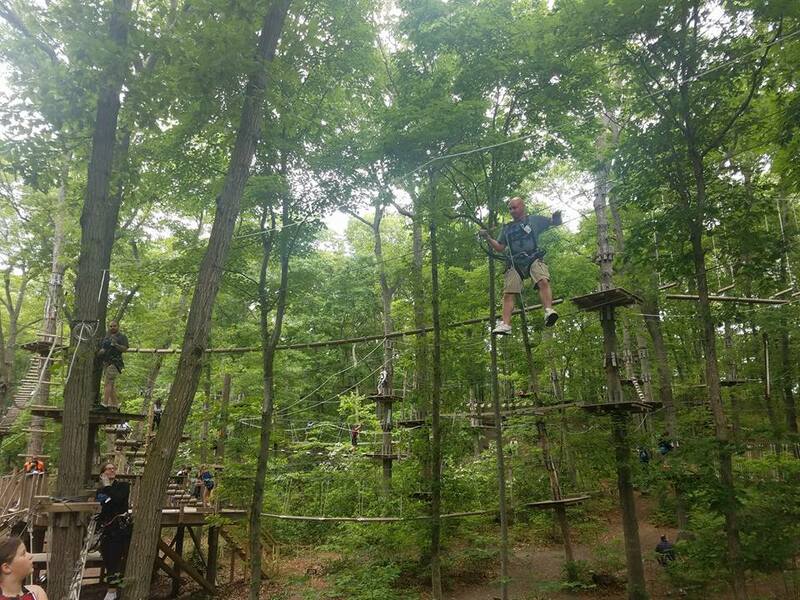 Even the easiest course has some fun challenges and each course has zip line experiences. 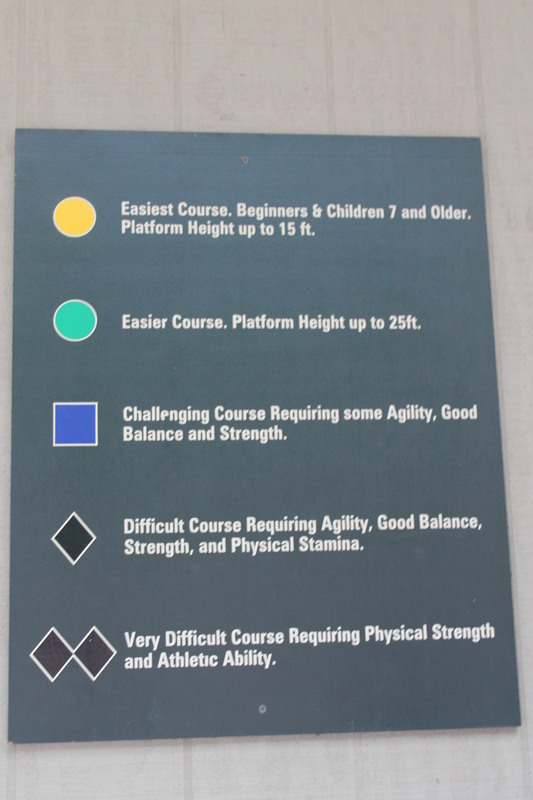 We were so proud of ourselves we completed 3 courses completely (2 yellow and 1 green)! We will return and try Blue next time. 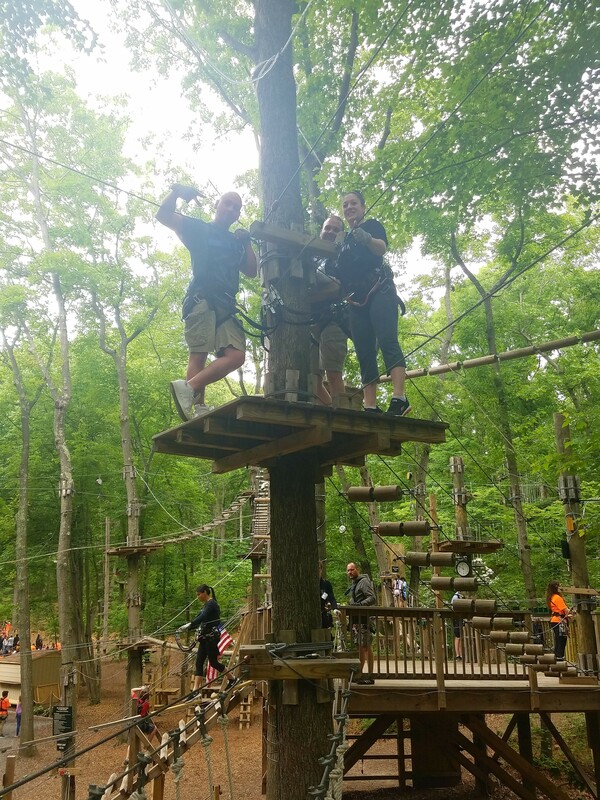 My husband, sister-in-law and brother-in-law started on the blue course and it was a longer course and was more difficult. 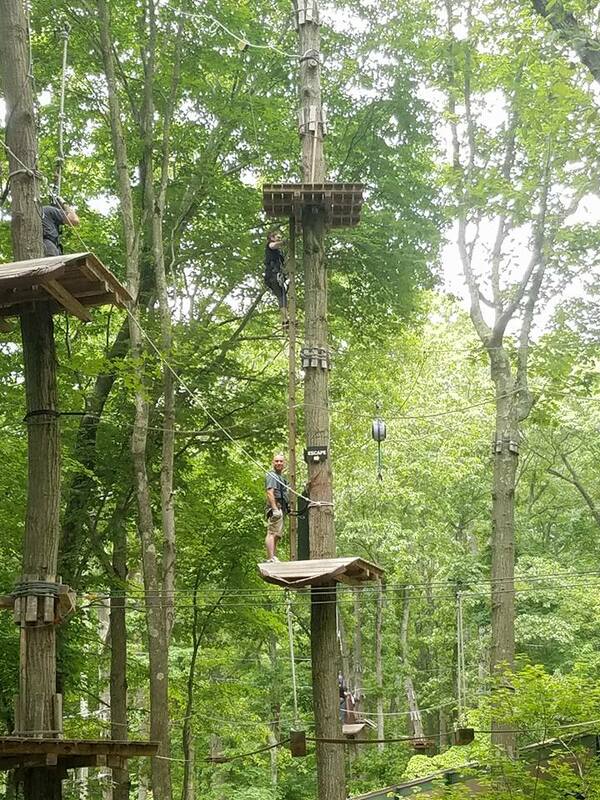 As we were doing the yellow course we looked up and saw them up higher in the trees completing their course. 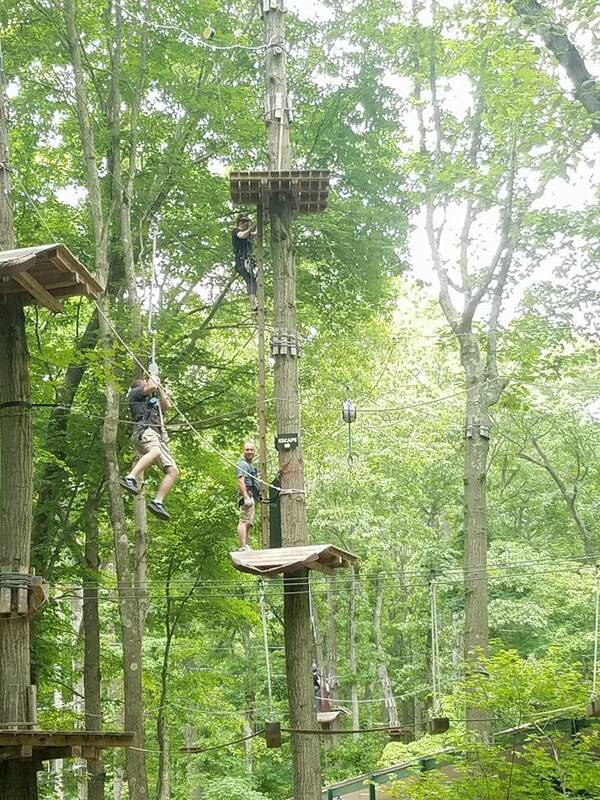 My two teenage cousins went straight to the black diamond course and they were up there for a while. 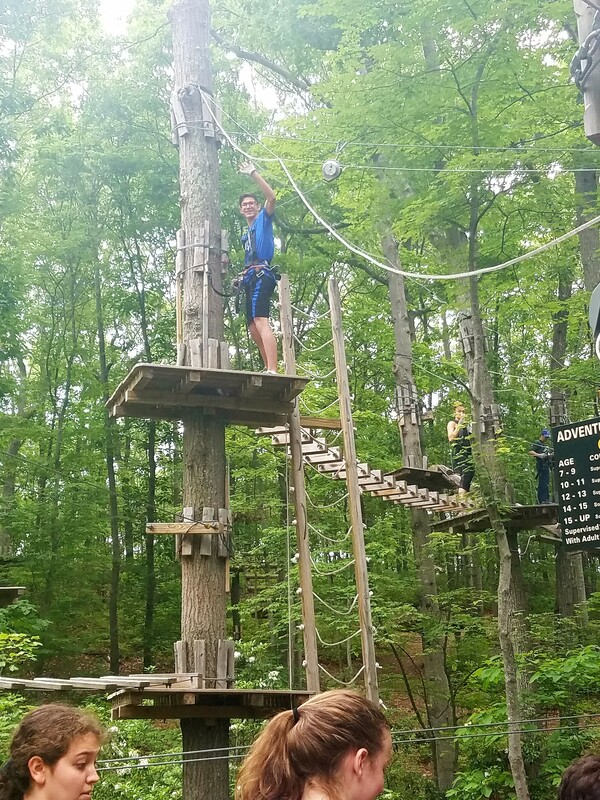 It was a much longer and more difficult course. 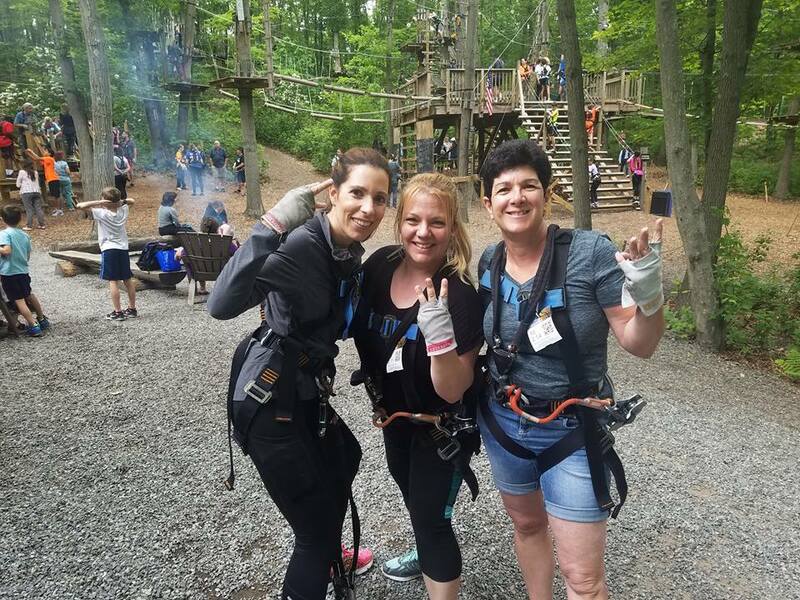 They did amazing and completed the course and of course were excited to do more of the courses. THEY LOVED IT! 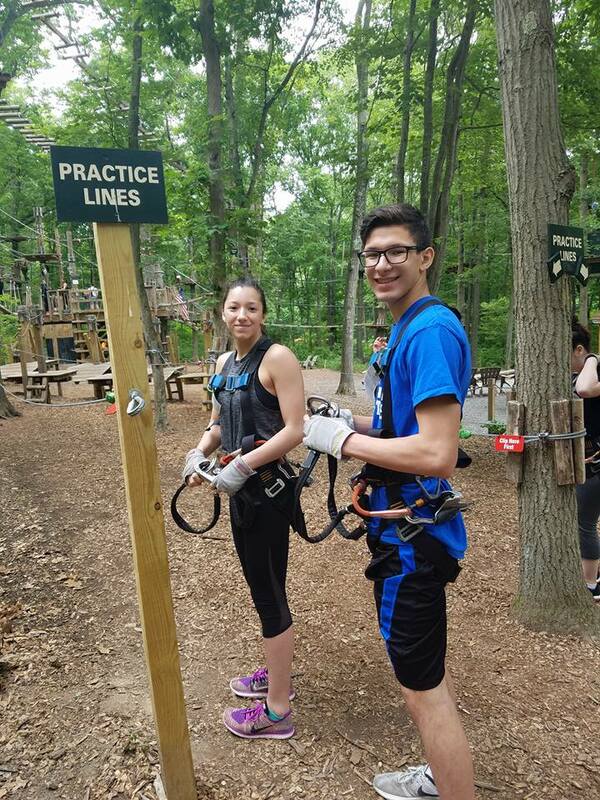 Teenagers have a hard time finding spots that they can go with their friends regularly and have a great time. I think they just found their favorite place to go and hang out with friends and have an incredible time. They are excited about trying a Glow in the Park event this summer, too. Looking for a great place to have a Birthday Party? 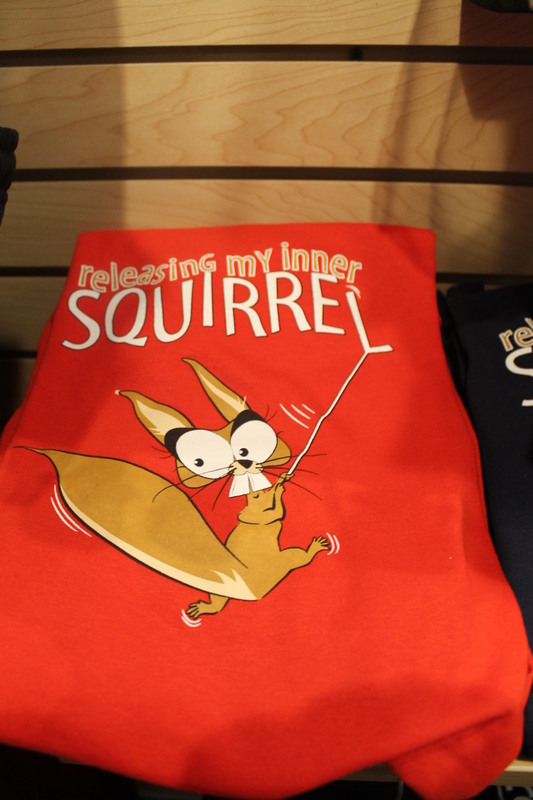 They have awesome packages for kids and for the young at heart! 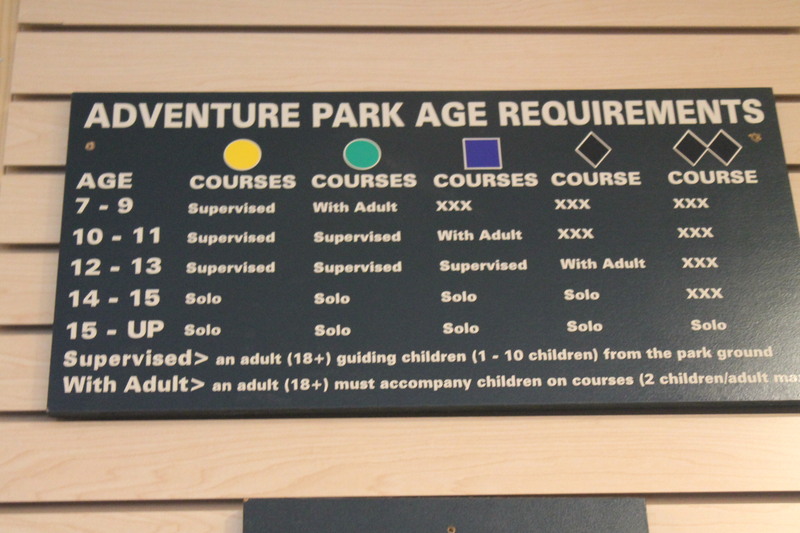 General Admission tickets are appropriate for individuals 7 and up. There are lockers for you to lock up your personal belongings. 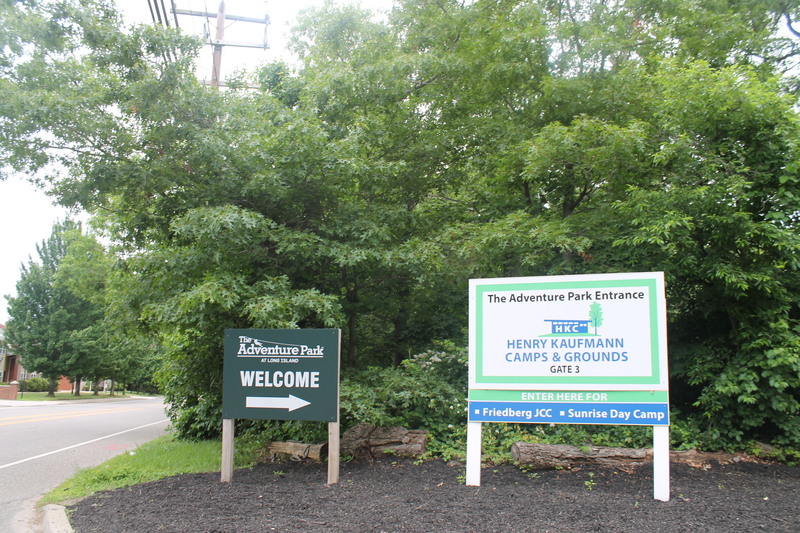 There is a picnic table area and campfire area with restrooms near the registration building. 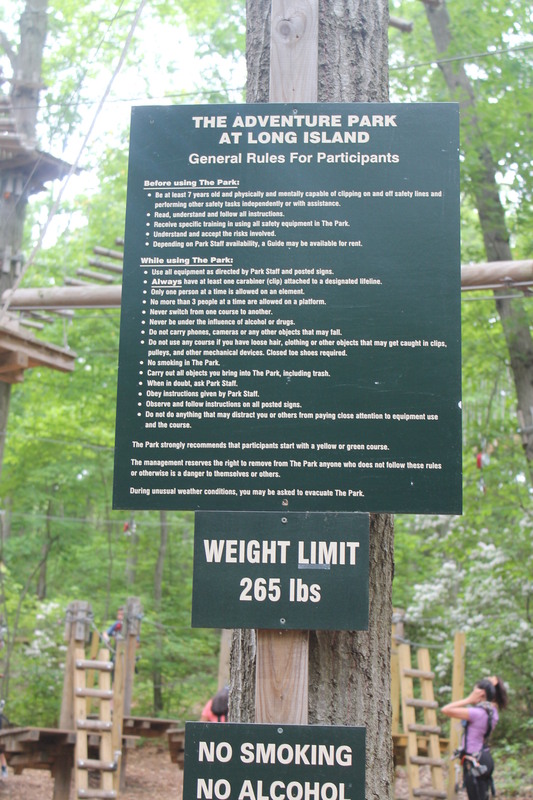 You may bring your own food and drinks to the park. There is a concession area where you can buy drinks and snacks as well as, fun gear. They provide gloves, as well. 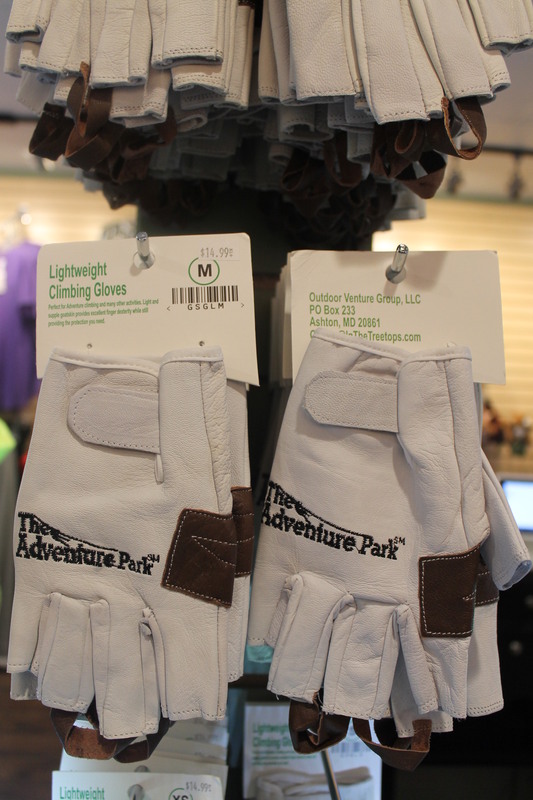 But, you can bring your own or buy the Adventure Park climbing gloves. Bring your own bug spray and sunscreen to enjoy the day. 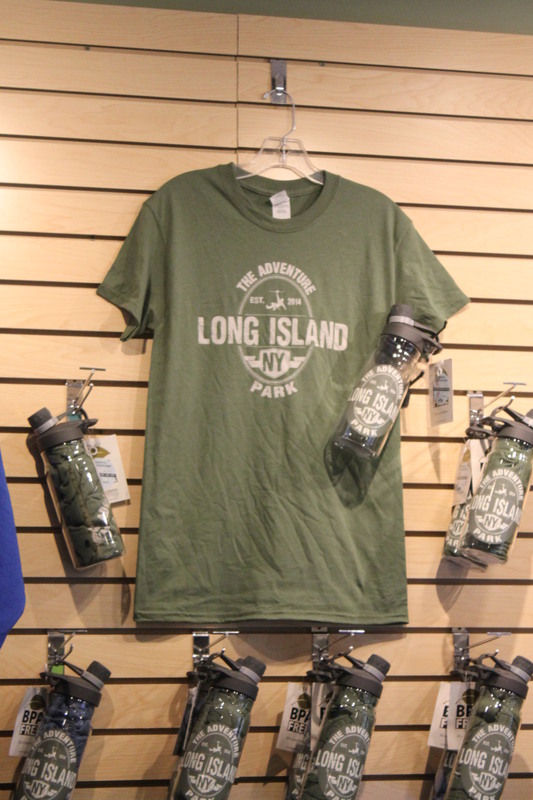 The park is open rain or shine so make sure you prepare if the forecast calls for rain showers. 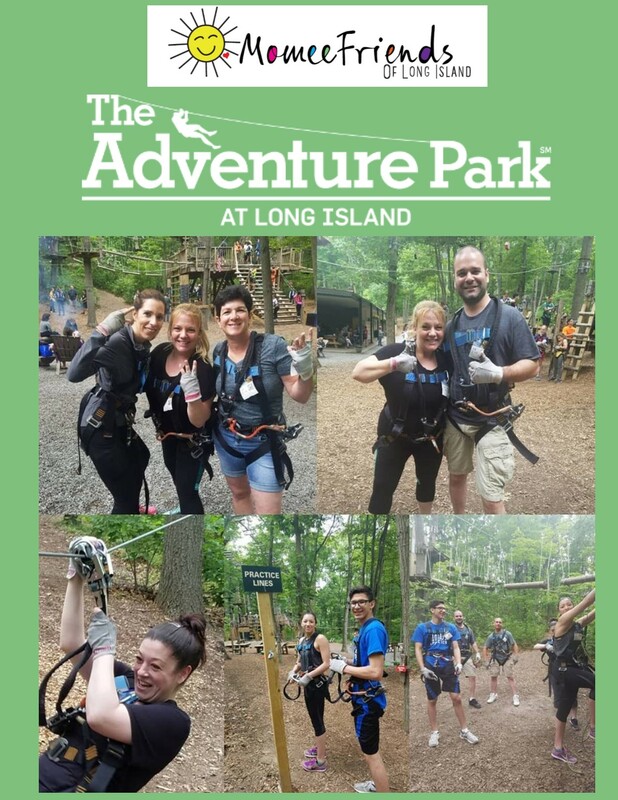 Don’t forget to tag the Adventure Park Long Island on your social media pages and tell your family and friends what an awesome time you had. 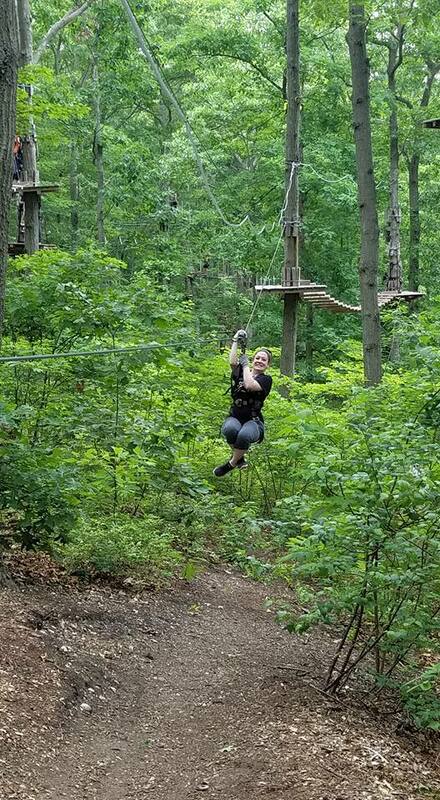 We hope you have as much fun as we did and maybe we will see you in the trees this year!